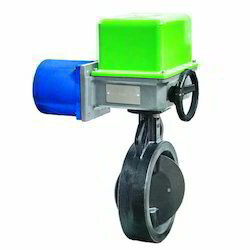 We are a leading Manufacturer of quarter turn actuator from Pune, India. We are one of the prominent manufacturer and supplier of a wide range of Quarter Turn Actuators. These are fabricated using quality tested raw material to ensure durability. Our offered range is widely appreciated for high tensile strength, durability, compact design, longer service life, corrosion resistance, dimensional accuracy and fine finish. As the actuators are installed directly on final control element and are provided with stall-duty motors, the units become completely maintenance free. These are available in various sizes, shapes and designs to meet the demands of various industries. These actuators help in manual engagement/disengagement of gears for smaller applications.